It seems hard to find a game these days the doesn't feature micro-transactions. It feels as if every developer, publisher and sponsor is trying a little too hard to squeeze an extra dollar out of us wherever they can. This trend isn't set to change any time soon with Polyphony Digital announcing their new title, Gran Turismo 6, will give players the option to buy in game credits (Cr.) with real money; following in the footsteps of long-time Xbox exclusive rival Forza Motorsport. The conversion rates are quite colossal as evidenced here. 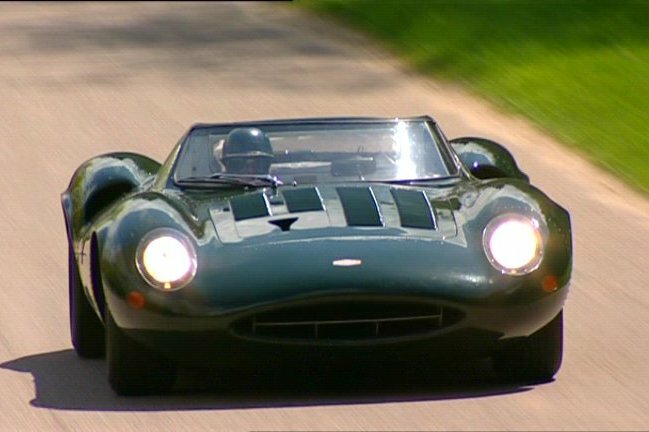 The most expensive car in Gran Tursimo 6 is the Jaguar XJ13, pictured below. The XJ13 will cost 20,000,000 in-game credits. If someone were to purchase this car with no credit base they would have to spend £120, or around $196.60 USD. This begs a question; where do we draw the line? In this scenario a single virtual car is more than double the cost of Gran Turismo 6 itself. This is hardly a micro-transaction. A brand new PS VITA from gamestop will cost you only $3.39 more than the in-game XJ13 to put it into perspective. At the time of writing the difficulty of obtaining Cr. through game-play is unknown. Forza Motorsport 5 for the Xbox One has recently come under fire from the community for making in-game currency too hard to earn legitimately and prioritising micro transactions. It has left a foul taste in the mouths of people that have been loyal to the series throughout it's entire lifetime. Turn 10 listened to this feedback and tried rectifying the situation by giving the in game economy an overhaul. For one weekend they halved the cost of all cars and also gave VIP members a free Lotus E21 (the most expensive car in the game). They've also taken it under their wing to increase the in-game credit payout for winning races after players complained it took too long to accumulate credits. This makes Polyphony Digitals move very risky. Turn 10 have tested the waters and it turned out quite badly. Not to mention the prices are far steeper in Gran Turismo 6 when compared to Forza 5. Will micro transactions and day one DLC ruin gaming as we know it? Or does it offer more for the casual gamer with money to burn? Leave your thoughts below.